Day 1 ARRIVE IN QUITO, ECUADOR. Day 3 QUITO–BALTRA (EMBARKATION)–GALÁPAGOS CRUISING: BARTOLOMÉ ISLAND. Day 4 CRUISING: SOUTH PLAZA & NORTH SEYMOUR ISLANDS. Day 5 CRUISING: SAN CRISTOBAL ISLAND. Day 6 CRUISING: SAN CRISTOBAL (DISEMBARKATION)–GUAYAQUIL. Cruise pricing is based on a Standard Plus cabins on the Galápagos Legend. Cabin upgrades are available. 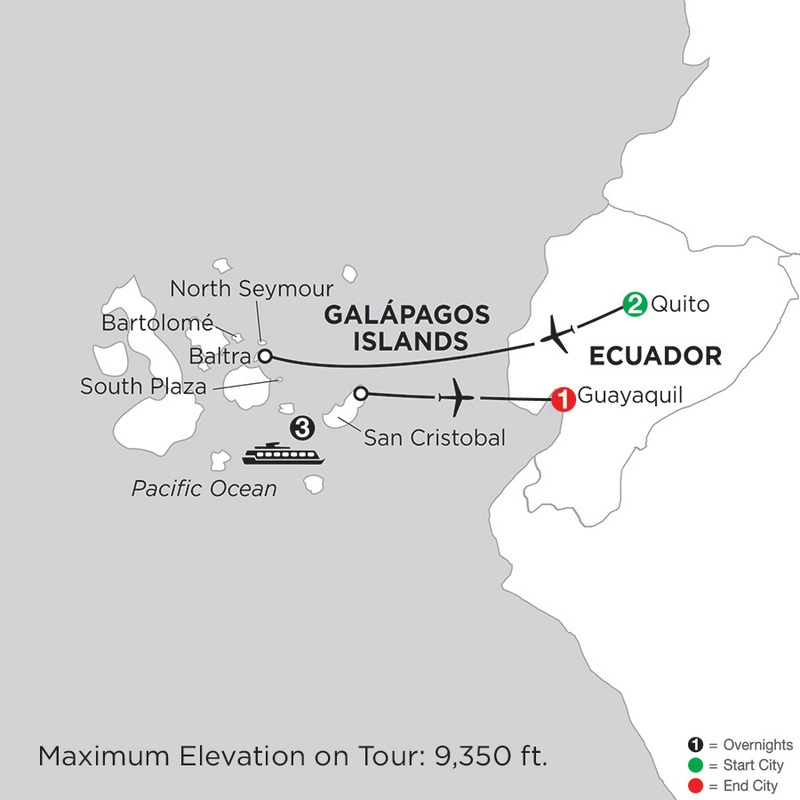 Galápagos package does not include Galápagos National Park entrance fee, transit card, and ship’s fuel surcharge ($170) but are additional and mandatory. These fees will be added to your Vacation Estimate.